Arrive in Oslo, Norway’s Capital, and check in to your centrally located hotel. 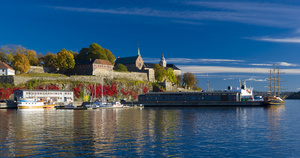 Spend the afternoon relaxing or take a short walk along the harbor or the main shopping street, Karl Johans which leads up to the Royal Palace. Overnight in Oslo. Spend the day sightseeing in Oslo. There is a lot to see. 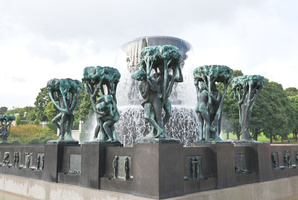 Our 5-hour sightseeing tour will take you to the famous Vigeland Sculpture Park, then up to the Holmenkollen ski jump and the Ski Museum. You will also visit the Bygdøy peninsula and see the Viking Ship Museum, the Fram Polar Ship Museum as well as the Kon-Tiki Museum. Overnight in Oslo. Walk from your hotel in Oslo to the main rail station, next to the Opera House. 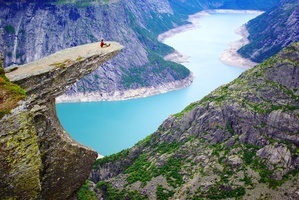 Depart Oslo on a scenic train ride in upgraded comfort class, passing towns and farm country as well as the highest point on the railway, Finse at 1222 meters above sea level. When you arrive at Myrdal you need to change trains, boarding the famous, Flåm railway, an engineering marvel winding it’s way down to the picturesque village of Flåm. At one of the stops you can get off the train to take pictures of the waterfall above. 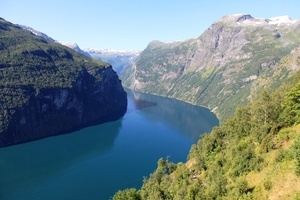 Arriving in Flåm, it is a very short walk to the pier where you board the boat that takes you out the narrow Aurlandsfjord, crossing the main Sognefjord, (the longest and deepest fjord in the world), to Balestrand. Check in to your hotel , a short walk from the pier. If you have time, take a stroll through this small town, visit the Aquarium (hosting local sealife) or the old wooden St.Olaf’s church, an English church. Overnight and dinner at the hotel in Balestrand. After breakfast start a daylong excursion to the beautiful Fjærland village.Board the boat at the Balestrand pier for a lovely cruise on the Fjærlandfjord to Flærland. 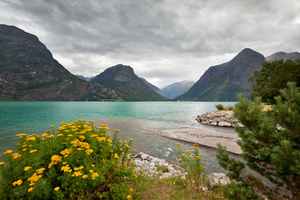 Visit the Glacier Museum before going by bus to Supphellebreen and Bøyabreen glaciers. Arrive back at the Fjærland pier for your cruise back to Balestrand. Dinner and overnight in Balestrand. Well planned, conveninet hotels, good tour... helpful and accomodating agent (thanks Bobby).